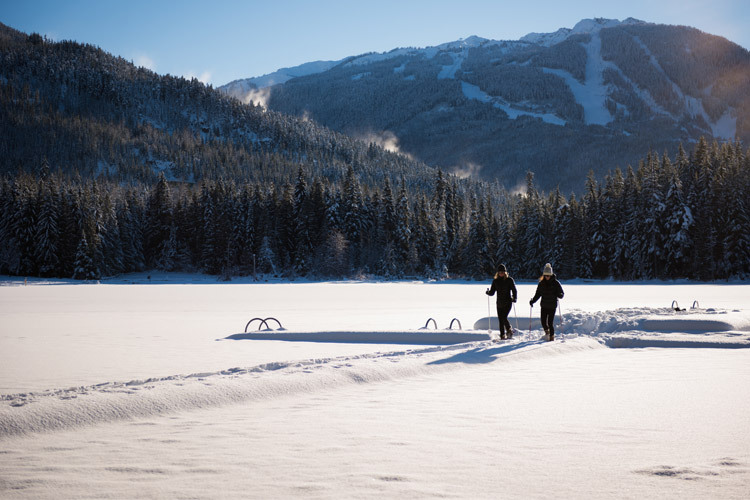 During deep winter in Canada we’ll see just over eight hours of daylight in Whistler. When it comes to the shortest day of the year, are we bemoaning the loss of daylight? Oh my, no. Let’s start with a bang! Fireworks and fire dancers spark up Sundays and special occasions through winter, creating a light display where skiers and snowboarders leap through flaming hoops to music. If the kids still have energy after a day skiing, Family Après might just be the ticket to help them burn off the extra energy. A rotating selection of Canadian outdoor family fun, where the kids performers and the Snow Zone provide all the entertainment you need, no planning required. A real life, real time adventure, where you have to work as a team to solve puzzles to escape your room before the clock counts down. Four beautifully crafted, immersive rooms make this way more fun than TV and video games. That’s right, there’s a whole Village 8 Cinema tucked between the ski shops and art galleries, so if your favourite blockbuster comes out while you are on vacation you can still catch that flick. Discover Whistler’s newest attraction. Vallea Lumina combines the natural beauty of the Whistler coastal rainforest with technological magic to create an interactive nighttime adventure. Take a multimedia walk in pursuit of hidden wonders in the forested surrounds of Cougar Mountain. Connection counts. Hanging out without a purpose is a bit foreign in our over-scheduled lives, but ditch the plans and give it a go. The beauty of the well-lit, pedestrian-only walkways in the Village, Creekside and the Valley Trail is you can go exploring with your crew even when it’s dark. Check out the shops and galleries, grab a drink or ice cream, find the bear statues and play in the snow or on the lawn at Whistler Olympic Plaza depending on the season. Insider Info: Year Round, but we love winter when there are holiday lights on display and you can snuggle up by a firepit. Depending on the time of year, you can catch one of the incredible natural phenomena that happen in the night skies. Catch the alpenglow, see a meteor shower, glimpse the moon and the northern lights or simply take time out to gaze at the stars. Insider Info: Year Round, weather dependent. Head away from the village lights for the best views. Treat yourself to a multi-course meal at one of Whistler’s award-winning restaurants and spend a night sampling exquisite dishes crafted by local chefs, paired with exceptional wines. 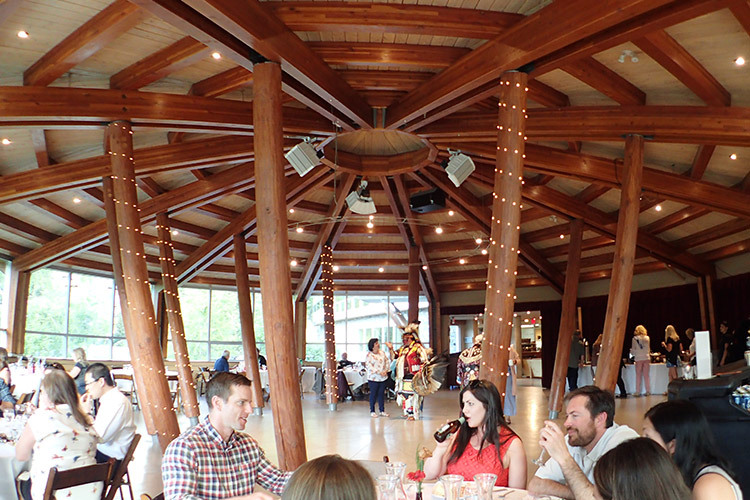 If you are new to Whistler’s culinary scene, there’s no better way to dive in than with a tasting tour, hosted by a food-obsessed local. It’s a gentle walk between several of Whistler’s best restaurants, sampling as you go and meeting new friends along the way. The mountains don’t disappear when it’s dark, so why not explore their night side, too? Night snowmobile and snowcat tours in winter or ATV and jeep tours in summer are a great way to get outdoors. They’re often paired with a meal and a look at the Village lights from on high. For more on the wild side, think about twilight ziplining where you can zip into the dark like a moth…unless there’s a full moon to light your way. Both Lost Lake Park and Ski Callaghan offer lit trails for night skiing. Lost Lake Park is close to the village so it’s easy to grab dinner then head out for a night ski. Ski Callaghan has a lodge for dinner, plus space for you, the dogs and the kids to toboggan and hang out around the bonfire. Thursdays and Fridays the Audain Art Museum stays open until 7 PM so you can pop past before or after dinner to take in the permanent collection of artworks from British Columbia as well as whatever rotating exhibition is on show. Keep an eye out for the special First Friday and third Thursday programs (on the first Friday and third Thursday of each month) for evenings of entertainment and education with extra tours thrown on for guests – free with the price of admission. Keep an eye out on their event page for their speaker series, featuring everything from local heroes to historical videos and scientists working in the Whistler area. These nights are entertaining, informative and a chance to have a drink with long time locals among the museum exhibits. Just a hop, step and a jump from the Museum is the beautiful library, which is open into the evenings a couple of times a week if you want to hang out and read. Keep an eye on their event calendar too, as they host evening lectures from professors at Quest University in Squamish, a selection of foreign films you won’t get in the cinema and Armchair Tours with local photographers. Every festival that comes in to town brings with it a host of special evening events, so it’s worth keeping an eye on the calendar during your visit. 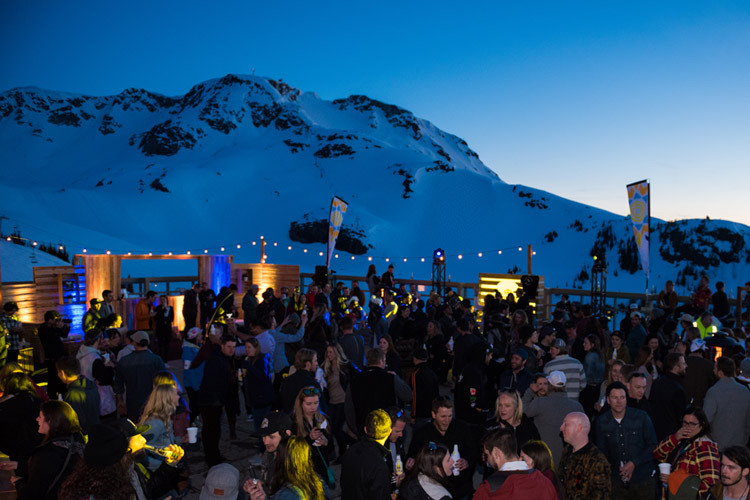 Things like the Summer Cinema Series, Whistler Presents: Summer Concert Series, fall ski movie premieres, the Whistler Film Festival or the 72 Hour Filmmaker Showdown at the World Ski & Snowboard Festival only happen occasionally, but they’re nights out you won’t get anywhere else. A night out doesn’t have to be a drain on your resources. Many of Whistler’s spas and wellness venues are open into the night, so you can spa, float or stretch out at a restorative yoga class and go to bed early for the best sleep of your life. You’ll be first in line the next day and have an excuse to laugh at the hungover strugglers. Whistler has an impressive list of nightlife venues – bars, pubs, lounges, clubs, whatever takes your fancy. There’s a couple of ways to get express entry and deals that are also fantastic ways to meet new party buddies and have someone take care of all the details for you. It’s like your lounge room, only better. Catch your game of choice at one of Whistler’s sports-mad bars with the local favourites with big screens including (but not limited to) Tapley’s, Earls, Dusty’s and the Cinnamon Bear Bar & Grill. All North American sports, soccer (aka football), even rugby depending on time zones. Not a pub, not a club – Whistler’s lounges offer up a touch of culture and slightly different way to spend the long nights. 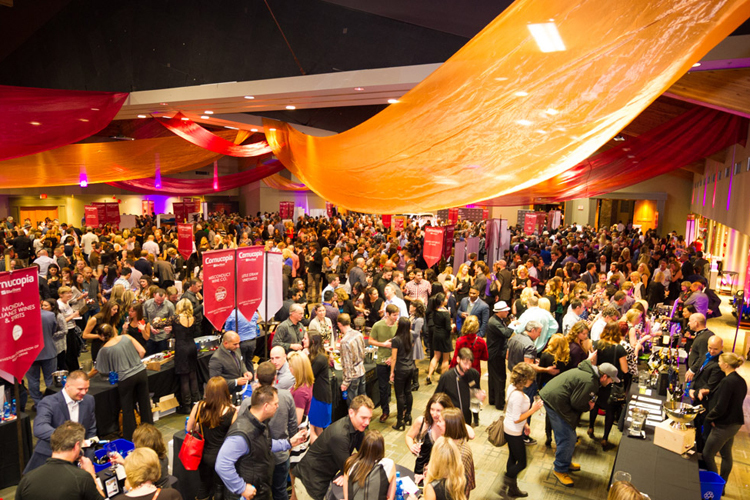 Think literary greats sampling scotch and working on their next novel, or karaoke, jam and or comedy nights at the Crystal Lounge or a funky DJ and soul singer combination at The Cure at Nita Lake Lodge or Mallard Lounge at the Fairmont Chateau Whistler. One two three – three breweries in Whistler! Sample the craft beer at the Whistler Brewhouse, Coast Mountain Brewing and Whistler Brewing Company and if your quest for beer is not satisfied, then there’s a whole range of other pubs carrying an excellent selection of craft beer. From the toe-tapping musical shenanigans of Ruckus Deluxe to the funky beats of Tim Livingstone there’s no shortage of talented musicians and live and local music happening in Whistler. Ask a local for their favourite venue and choice of music to check out something new. The folks over at Arts Whistler have a busy schedule of concerts over the winter time, ranging from blues and roots to classical guitar performances. It’s an eclectic menu of performances that means you might just discover something new. The club scene in Whistler is surprisingly deep. Literally, as most of the clubs are underground. From Old School Hip Hop nights to Dubstep, Deep House, Drum n Bass and Grime – if you are serious about music and DJ’s it’s worth keeping an eye on the events listings to see who’s coming to town. Again, make friends with a local to get the gossip on where the party is really going down tonight. Does it count as a night out, if you don’t have to get dressed for dinner? Maybe not, but if you’re in one of Whistler’s luxury hotels the service will be exceptional regardless of whether you are soaking in the hot tub or lounging in a robe. Go on – make it a night in. The day isn’t over until your head hits the pillow, so make the most of the darkness and get out there and giv’r. To find more information on where to eat, sleep and play in Whistler, visit Whistler.com.